The above statement was made during a discussion following the viewing of a film entitled, “Hitler’s Children,” a documentary about the psychological impact and the emotional scars of being a descendent of high ranking Nazis. The evening began with joyful greetings as the members of my three Holocaust groups entered the big conference room for a light dinner meal, followed by this sixty minute viewing. The film prompted an outpouring of angry and other intense emotional responses by all group members. The dark shadow cast by the Holocaust has not faded with time. It’s been nearly seventy years since the liberation and the images of the horror are just as powerful today. Survivors, now in their eighties and nineties, are plagued by their aging bodies and nightmarish memories. “The pillow is my enemy,” stated a survivor during a group meeting. “As soon as my eyes close all I see is my little brother; what did he do?” stated the sole survivor of her entire family; she was one of nine siblings. Aging, for many survivors, is a colossal challenge and a source of the reactivation of trauma—death at any moment; a horrible death. Coping with bereavement of spouses and friends, personal illness and loss of independence are difficult for most people to deal with. However, for survivors, the agony, loss and deprivation they experienced during the war years, further intensifies the suffering brought on by normal aging. Survivors are very much aware of their impending mortality and, more than death, they fear their families who were lost in the Shoah will no longer have a voice. First and second generation survivors have a deep-rooted sense of obligation to memorialize those members of their families who were, as stated by a survivor of Auschwitz, “murdered and erased through the crematoria chimneys.” The following are thoughts often echoed during survivor meetings: “Who will remember the faces of our parents, brother, sisters, aunts, uncles, cousins; who will remember our children? Why did they die such a horrible death; what did they do? When we die, they will die again; this time without a trace.” The legacy to remember now rests on the shoulders of the second and third Generation. The scars of the Holocaust run deep and are intergenerational. For many children of Survivors—most now in their fifties and sixties– the enormity of what their parents endured is an open painful wound. “We bare the guilt of not being able to make up for all that our parents lost; how many names can we carry? They’re still dead,” expressed a daughter of survivors. The children of survivors live with the reality of their parents’ suffering, and the guilt of being helpless in the face of their parents’ suffering. In spite of the fact that many survivors chose to remain silent about their experiences, the trauma was ever present; “It loomed in the air we breathed, like second hand smoke,” stated a sixty two year old physician and son of survivors. The Second Generation group is growing in number. Comprised predominantly of well-educated, competent individuals, this group struggles with their identities as children of survivors and the magnitude of the Holocaust legacy. Despite their accomplishments, many members of this group view themselves as more fragile and less capable than their parents, often echoing the sentiment, “I never would have survived what my parents went through.” Forever trying to compensate for their parents’ losses, this group, like child survivors, feel a strong sense of obligation to their parents, to protect them from any further suffering as they navigate through the trenches of old age and illness. For this reason, watching their parents struggle with illness, loss and the ever present horror of seventy years past is agonizing. “Haven’t they suffered enough; it’s just not fair,” tearfully declared a daughter whose survivor parents, both in their 90’s, are desperately in need of round the clock care. 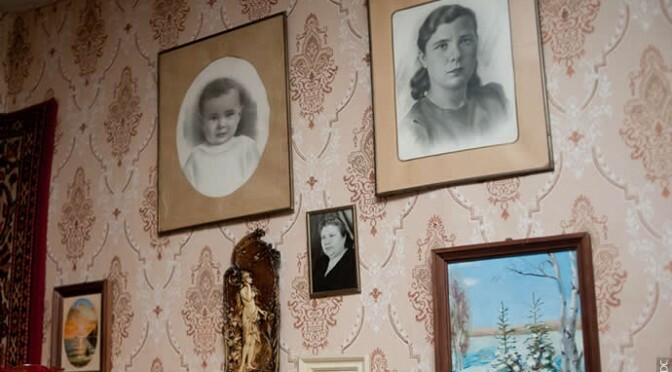 The second generation lives to make their parents happy—“Naches Machines,” said another daughter who recently lost her father, an Auschwitz survivor. When reviewing their childhoods, many of the second generation survivors described having expectations placed on them that were well beyond their years. “My parents did not get along; they married out of necessity, not love. I was expected to referee; I was only five years old and an only child.” Many group members felt remorseful and guilty over their inability to listen to the details of their parents experience; “My mother tried to tell me and I just covered my ears; I didn’t want to hear and now there is so much I don’t know,” expressed a daughter who recently lost her mother. Some parents spoke about their experiences and some kept silent; some children wanted to hear and others couldn’t. Every household, regardless of the relationships that existed, was pained by the suffering of the past. The adaptive abilities are as varied among second generation as they are among survivors; some are highly successful while others, many near retirement age, are still trying to separate and build a life. Some come searching for answers as they have very little information about their parents’ wartime experiences; they look for historical references to help them better understand themselves and what their families went through. Everyone who comes to this group is straining to make sense of the feelings of sadness, anger, anxiety and the need to connect with others who are living with this painful thread of history that has forever imbedded itself in their psyches. “It’s everywhere; in every decision, relationship, accomplishment and mistake; it’s even on vacations,” stated one group member to the unanimous agreement and collective laughter by the rest of the group. Being a child of survivors is a tremendous responsibility and for some, a great burden. In awe of their parents’ survival, many second generation survivors see themselves, by comparison, as lacking the strength to endure. Statements often heard at each meeting are: “It’s hard being a child of survivors; we have nothing to complain about compared to what our parents faced.” The most profound statement, made by a son of a survivor of a slave labor camp, was, “In some ways our parents are more intact than we are!” Many survivors also recognize, although they don’t understand why, just how much their war experiences have affected their children. A survivor who called to inquire about help for his 55 year old daughter stated, “I went through it; she didn’t. I didn’t talk to her about what happened to me so why does she suffer from so much depression?” Although the second generation did not experience what their parents went through, studies have shown that one does not have to directly suffer the traumatic event in order to feel the effects (Kellerman, N.). The events of the Holocaust impacted the second generation on a multitude of levels resulting in an array of internal conflicts about their parents, themselves and the choices they’ve made. The complexity of these issues is often addressed as they share their sometimes difficult childhoods and strained relationships with their parents and or siblings. “My father is so mean to me; nothing I do is ever good enough, particularly now that he is old and more dependent. I get so hurt but I can’t stay angry after what he went through. Sometimes I really hate him and yet he is my hero.” The dichotomy was familiar to everyone in the room. Throughout their lives, the second generation has been coping with opposing inner forces— vulnerability and resilience. Many view the Holocaust as both a source of emotional suffering and a powerful legacy that adds purpose and meaning to their lives. If the latter force is dominant, the ability to separate from their parents’ trauma and navigate through life’s obstacles is better. As renowned psychologist, author and concentration camp survivor, Viktor Frankl, states in his book, Man’s Search for Meaning, “Life ultimately means taking the responsibility to find the right answer to its problems and to fulfill the tasks which it constantly sets for each individual (p.98).” In other words, responsibility is the “essence of meaning” to one’s life. Unfortunately, some children of survivors have become immersed in their parents’ suffering, leaving little emotional reserve to separate and individuate. Regardless of the level of coping skills and emotional strength, the second generation bears the scars of their parents’ tragedy. The catastrophe that befell the Jewish people of Europe nearly eight decades ago continues to deeply affect the lives of those who were there, as well as their decedents. The members of the three support groups—Survivor, Child Survivor, and Second Generation—at the Westchester Jewish Community Services are a testament to the long term and intergenerational impact of the Holocaust. For survivors, now elderly, the memories are like a gash to the heart that continues to bleed and ache with grief. The second generation remains in the shadow of their parents’ anguish, struggling to comfort them while seeking to find their way through the murky waters of the past. Some are able to maneuver successfully through life in spite of the heaviness of the Shoah, while others remain stuck and immobilized. The healing process from this cataclysmic event is slow and generational. The grandchildren of survivors—Third Generation—are most likely the last generation to have a direct relationship with the eyewitnesses of this horror. For most of the third generation, who are now in young adulthood, their grandparents are a source of pride and admiration—a driving force to do good in this world. Though the heartache of the Shoah will diminish with time, the remembrance of the victims and the extraordinary strength and perseverance of the survivors and their children shall remain as part of the story to tell and retell like the exodus from Egypt. Frankl, Viktor E. (2006). Man’s Search for Meaning. Boston Massachusetts: Beacon Press. Centre for Psychosocial Support of Holocaust Survivors and the Second Generation, Jerusalem. I have been waiting for something to be written which is truthful about the psychological and emotional impact upon us. This is by-far the best I have read and its accuracy and honesty are refreshing. Thank you for sharing this and what the group(s) are dealing with. In fact, I may consider inquiring if there is a way I can join this group since I have been in therapy at different intervals of my life and never had anyone examine the aspect of my being a child of a survivor as possibly being interwoven in the struggles I was presenting and seeking to understand. Thank you again for giving me words and validation in a way I have been seeking for 65 years!